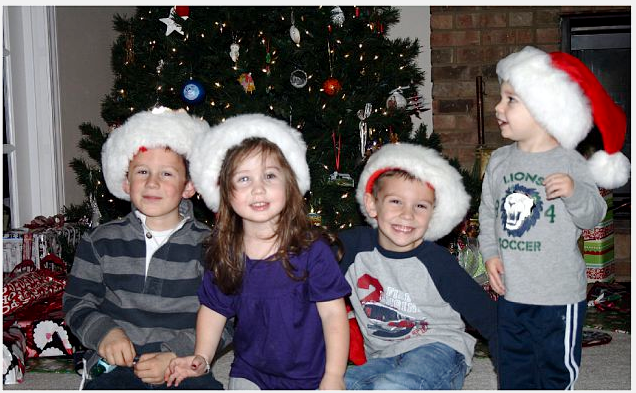 And here's the kiddos at Justin's parents house! Hard to believe 3 out of 4 were in the same place and smiling! A Christmas miracle!